Lutheran Advocacy PAHow are you Celebrating Earth Hour? How are you Celebrating Earth Hour? 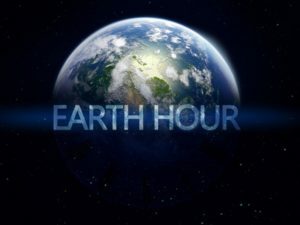 Earth Hour is a worldwide event, uniting people as they join to turn off the electricity and go dark for 1 hour, local time on a Saturday in late March. This year Earth Hour is Saturday, March 30, 2019, from 8:30 – 9:30 p.m. local time. Celebrate with your friends, your neighborhood, or your congregation, and choose what you are hungry for… from reflective to (a little) raucous. Are evenings not so good for you? No problem! It’s a worldwide event, so you can watch online as the Eiffel Tower or the Sydney Opera House goes dark (3:30 PM our time for Paris, or 5:30 AM for Sydney). … and feel free to choose a different night in the 10 days on either side of the spring equinox, which we’re calling “Earth Hour, the Director’s cut.” Learn more.